Thursday 2nd November 2017 – Watched the Skegness Musical Theatre Company and Richmond Voices production "Curtain Up". An evening of songs from the musicals held at The Richmond School. Friday 3rd November 2017 – Cut the ribbonto open the new B&M store on Burgh Road. Saturday 4th November 2017 – Attended the annual Lions dinner at the Royal Hotel. Saturday 4th November 2017 – Helped with the prize giving ceremony for the AMCA Motocross Beach Race held at Busters Fun Pub, Grand Parade. Sunday 5th November 2017 – Helped with the prize giving ceremony for the AMCA Motocross Beach Race held in Busters Fun Pub, Grand Parade. Tuesday 7th November 2017 – Attended the Walnut Care Certificate Celebration held at the Crown Hotel. 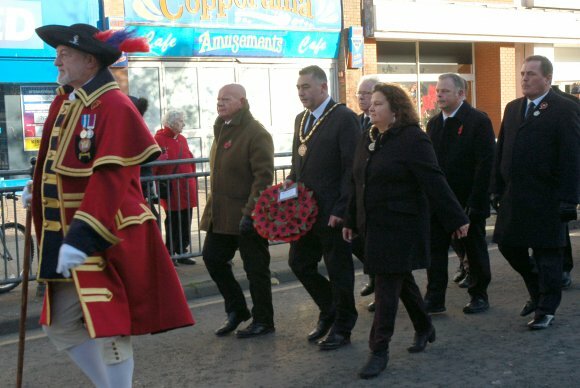 Sunday 12th November 2017 - Lead the Remembrance Day Parade and took part in the service at St Matthew's Church, Skegness. 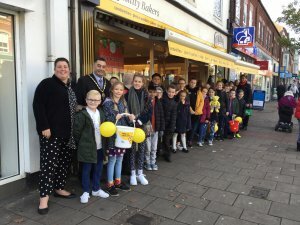 Friday 17th November 2017 – Attended the Richmond School's sponsored walk for Children in Need. Friday 17th November 2017 – Watched the Children in Need Community Variety Show held at the Embassy Theatre. It was organised by The Embassy Theatre Academy and Sue McGough Performing Arts. Thursday 23rd November 2017 – Attended the Skegness College of Vocational Training presentation event held at Skegness Rugby Club. Friday 24th November 2017 – The Deputy Mayor, Councillor Sid Dennis attended the Skegness Business Awards Ceremony held at Southview Hotel. Thursday 30th November 2017 – Was present at the opening of the Art Gallery on Lumley Road. 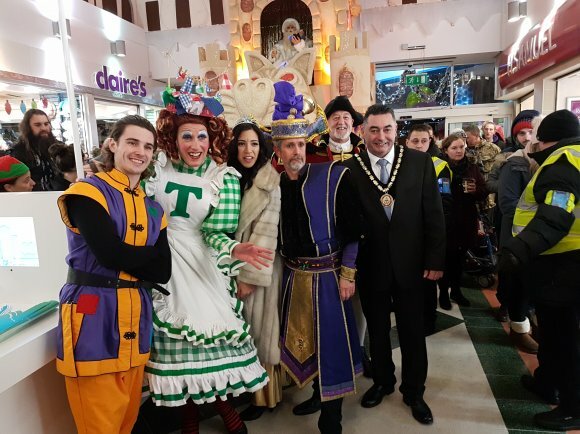 Thursday 30th November 2017 – Switched on the Skegness Christmas Lights and took part in the parade. XHTML 1.0 validated. WCAG compliant. Page generated in 0.0808 seconds.